As publishers still struggle to match Facebook’s mobile ad revenues, ad tech expert and MMA trainer Matt O’Neill shares five top learnings from Facebook’s mobile success. Matt has been working on the frontline of digital advertising since 1999, first at Yahoo and later as President of Admonsters. Facebook have huge teams dedicated to creating a smooth, relevant, non-disruptive, instream ad experience. Not everyone can afford to dedicate resources on the scale of Facebook, but the key here is not the size of the team but the fact that it is dedicated – a single individual with clear responsibility for the experience would be sufficient to revolutionize most publishers’ approach. Facebook’s success comes from injecting ads into the user flow that are relevant to the user, and because they know a lot about users, the ad units are effective. But publishers also have data, especially contextual data. Registration is important wherever possible – part of the reason that the Financial Times moved away from a simple meter pay model was to encourage more people to register and make their ad data more valuable. You can’t afford to ignore the logged-in economy on the app. And you need to ensure users that come to your content through social or your own newsletters, have a smooth experience on the mobile web. Facebook keeps both, and the functionality remains more or less the same across both. You too have a Newsfeed – monetise it! The homepage is very much alive for your most loyal and valuable readers who trust you to tell them what is breaking news. But many of your readers are arriving from social directly to article pages. And they are spending most time on those article pages. Facebook strives to keep readers within the Facebook ecosystem and key to that is load time (see the speed of Instant Articles for proof). Your pages need to load just as fast as Instant Articles. And the ads need to be optimised to make that happen and priced at the right level. On the most simplistic level Facebook connects people with each other by that means with information liable to be of interest. News publishers inform people. But it goes deeper than that. Facebook doesn’t present information or individuals equally, but instead combines triage and algorithmic selection to keep refining a daily snapshot that caters to perceived interests. 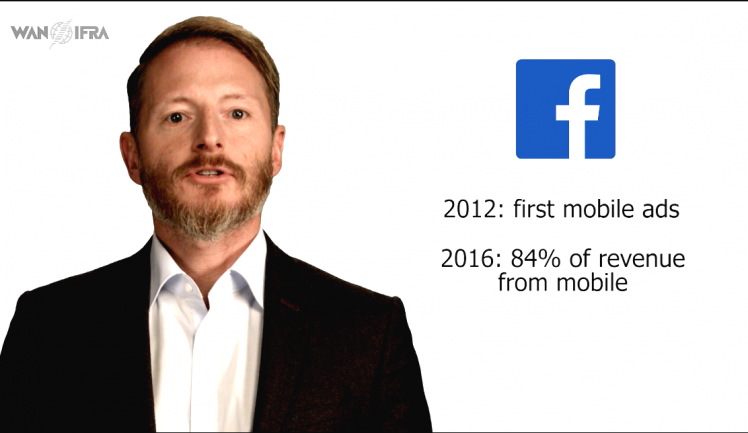 Interested in gleaning new insights from Facebook’s mobile success? Check out Matt’s MMA course page and sign up to MMA.